Found a wikibook you like? Click this link to nominate it as a featured book. Featured books are quality books that the community believes to be the best of what Wikibooks has to offer and should inspire people to improve the quality of other books. To nominate one of our Wikibooks visit the Nominations page. All nominations should meet the minimum criteria to be featured. Fundamentals of Transportation is aimed at undergraduate civil engineering students, though the material may provide a useful review for practitioners and graduate students in transportation. The book is divided into three main parts: planning, operations, and design. Find out how an idea becomes a road! Small Numbers helps children count to ten and learn the meaning of numbers by pointing out real-life situations in which they play a role. The Muggles' Guide to Harry Potter is a guidebook to the Harry Potter series. Critical commentary on each chapter, character, object, place, and event is provided in an effort to help the reader better understand detailed content and find connections to the greater storyline. Visit the pages for the Humanities and Fine arts to see even more books on these subjects. From Rome to the present day, European History is a sweeping textbook of the continent's history placed in its proper context. Designed for AP European History students. The Guitar is a stringed musical instrument that is played in many different styles of Western music. This book provides lessons on playing styles and techniques. A concise approach to New Zealand History, this textbook covers the first inhabitants, the Maori, the discovery of New Zealand by the Europeans and some of the significant events that have led up to the way the country is in the present day. The United States History book covers US history from the pre-Columbian era to the present day. Visit the page for Languages to see even more books on this subject. Latin was the everyday language of the Romans and the basis of Romance languages. Studying Latin will make it easy to learn any such language. As you learn this classical language, you'll connect with Julius Caesar and many other famous Romans. Furthermore, the study of Latin will develop a firm linguistic foundation, bridging the gap between you and some of the greatest writers, scientists, and thinkers. The Miskito language is spoken by nearly 200,000 people in Nicaragua and Honduras. Miskitu Aisas! ("Speak Miskito!") presents the language through graded, user-friendly lessons. The Spanish language is spoken by over 450 million persons worldwide. Join their number with the help of this engaging beginner's textbook. Visit the page for Social sciences to see even more books on this subject. Blended learning is combining the best of face to face and Web-based technology (e.g., online discussions, self-paced instruction, collaborative learning, streaming video, audio, and text) to accomplish an educational goal. Communication Theory is about transmitting information from one person to another and the ways in which individuals and groups use the technologies of communication. Everyone has his or her own view of the nature of consciousness. The intention of Consciousness Studies is to expand this view by providing an insight into the various ideas and beliefs on the subject as well as a review of current work in neuroscience. Elements of Political Communication is a style guide for beginners who want to produce political messages in various media formats. It is not a rule book; rather, it is a set of guidelines to facilitate effective political communication. Introduction to Paleoanthropology covers the various species and subspecies that gave rise to human beings. Introduction to Sociology: The first section of this book covers the foundations of sociology, including an introduction to the discipline, the methods of study, and some of the dominant theoretical perspectives. The remaining chapters focus on the different areas of study in sociology. Learning Theories is a useful guide for both students and teachers to the problem of how to impart learning. Being aware that you are dreaming, and still remaining asleep, can give you the ability to control your dreams. Lucid dreaming truly can be a fantastic experience. Groups are everywhere; whether in our social lives, our work, or even our families, individuals decide to work collectively to achieve particular goals. In Managing Groups and Teams we take a challenge-based approach, one that focuses on the "how" of managing a group or a team. Social and Cultural Foundations of American Education is essential reading for US teachers. It was created and edited as part of an education course, ECI 301, at Old Dominion University in Norfolk, VA. The book's primary contributors have been undergraduate, preservice teachers. Stuttering, or stammering, is a developmental disorder with several possible causes, and a range of treatments. The Stuttering book is part of a series on Speech-Language Pathology. UK Constitution and Government is the perfect introduction for high school lessons on UK government. It is also a quick guide for people of other nations to get some insight into the arcane governance of the UK with its powerless head of state and all powerful House of Commons. A zine is a do-it-yourself magazine. Learn the techniques involved in creating and distributing your own zines. Visit the page for Science or Mathematics to see even more books on these subjects. Acoustics is the science that studies sound, in particular its production, transmission, and effects. Nuclear Medicine is a fascinating application of nuclear physics. The first ten chapters of this wikibook are intended to support a basic introductory course in an early semester of an undergraduate program. Additional chapters cover more advanced topics in this field. Control Systems is an inter-disciplinary engineering text that analyzes the effects and interactions of mathematical systems. This book is for third and fourth year undergraduates in an engineering program. Engineering Acoustics is the study of the generation and manipulation of sound waves, from an engineering perspective. Requires knowledge of Calculus and Ordinary Differential Equations. First Aid covers all topics required for a standard first aid course. The basics covered include: primary assessment, circulatory & respiratory emergencies, internal injuries, and medical conditions. The chapter on advanced topics covers AED operation, oxygen, airway management, and triage. Formal Logic is a study of inference with purely formal content. The first rules of formal logic were written over 2300 years ago by Aristotle and are still vital to many modern disciplines like Linguistics and Computer Science. High School Mathematics Extensions is aimed at, but not limited to, 14 to 18 year olds who are interested in mathematics in general. Several interesting topics not covered in the standard high school curriculum are introduced in this text. Historical geology is a subset of geology which aims at a reconstruction of the history of the Earth. Human Physiology explains, system by system, the workings of your body. It is intended as an understandable undergraduate-level guide to how the body systems function at a cellular level and how they work together to maintain a favorable environment for your cells. You and your class are invited to use and improve this book! The Physics Study Guide is meant as a supplement to a year-long freshman-level physics course with a trigonometry prerequisite. Radiation Oncology is a concise review of the radiation oncology field including a review of pertinent literature. Designed as a primer for students of radiation oncology, but may also be useful for those in practice to review areas of interest. Special Relativity is an introductory text for physics undergraduates and advanced high school students. It is also approachable by the educated layman. It is carefully designed to tackle the physics of simultaneity. This Quantum World is an introduction to the subject of quantum mechanics, following the historical development of the theory. Physics and mathematics required, not for the faint of heart. Visit the page for Computing for even more books on this subject. Ada Programming is a tutorial teaching the Ada programming language. Ada puts unique emphasis on, and provides strong support for, good software engineering practices that scale well to very large software systems (millions of lines of code, and very large development teams). Blender 3D is a cross-platform, open source 3D modeling and animation package. It can be used to create photo-realistic images, animated films, CGI special effects and computer games. This book provides an excellent collection of tutorials to help you learn to model, render, rig, animate, and create with Blender 3D. You will be turned from a newbie to a pro in minutes! C Programming is a tutorial teaching the C programming language. C is the most commonly used programming language for writing operating systems. Not only is C a popular language for operating systems, it is the precursor and inspiration for almost all of the most popular high-level languages available today. In fact, Perl, PHP, Python and Java are all written in C. C++, a common object-oriented language, was originally implemented as a preprocessor to C. C is also used in microcontroller programming because of its easy access to the hardware through pointers. C is renowned for its efficiency and portability, while still allowing this low-level access. The C# Programming Language is an object-oriented programming language developed by Microsoft as part of the .NET initiative. This book will discuss and explain this powerful language. Haskell is a lazy functional programming language with a state of the art type system. This tutorial aims to be friendly enough for new programmers, yet deep enough to challenge the most experienced. A desktop PC is a complicated piece of electrical equipment, and constructing one from parts is no small feat. Learn How To Assemble A Desktop PC with this informative wikibook. Knoppix is a Linux distribution that runs completely from a CD or DVD. There is no need for installation—it bypasses installed software and automatically detects hardware. LaTeX is one of the best languages for marking up technical documents to provide a quality publication. Python is a modern programming language, powerful yet easy to learn. This tutorial book targets at people who have never programmed before. It provides both an introduction to Python and to computer programming in general. This collection of e-primers, on the subjects of Free Open Source Software and Information and Communications Technology has been donated to Wikibooks by the UNDP-APDIP. In this advanced Haskell tutorial we'll implement a significant subset of Scheme. We assume no prior Haskell knowledge, but progress quickly. If you're feeling ambitious, why not Write Yourself a Scheme in 48 Hours? eXtensible Markup Language (XML) is a widely-used computer language for creating and designing pages on the web and for defining other languages with more specialized purposes. XML - Managing Data Exchange provides a detailed description of XML, its origins, its programming, and its uses on the Internet today. Visit the page for Miscellaneous books to find even more. Arimaa is a two-player 8-by-8 board game with simple rules, but a much larger selection of moves than chess. Most Arimaa positions defy precise calculation, and the game's creator hoped it would prove easier for humans than computers. In 2015, however, a bot defeated three top human players, winning the Arimaa Challenge. Chess is an ancient strategy game for two players. In this book, not only will you learn to play chess, but you will also master it. This book is great for beginners, but also for anyone else interested in chess - even a chess master. Using Wikibooks guides you through your Wikibooks journey. From becoming a reader to becoming a writer and beyond, each chapter explores what you should know to make the most of your journey. Visit the Wikijunior page to see all the books available for children from birth to age 12. Children can explore all the letters of the alphabet in Alphabet. Children can explore all the wild letters with their animal pals in Animal Alphabet. Wild cats are some of Earth's grandest treasures, and their stories excite the imagination of kids of all ages. Big Cats helps to explore this fascinating family. Biology is about all living things, like animals, trees, and other plants. 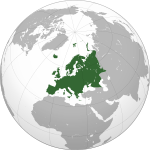 Young readers can have fun learning about Europe at Wikijunior:Europe. Europe has over 700 million people, and over 40 countries. Explore and discover the human body, an incredible machine, with Human Body. For children ages 8–12. Kings and Queens of England takes a look at the various people and families that have held the crown and presents it in a manner appropriate for young people. Kids can explore the history and construction of the world's most spoken languages with Languages. Outer space is the final frontier for humans. Even though the rest of the solar system objects may seem like tiny dots from Earth, our celestial neighbors are still important to learn about, because they aren't really just dots. Solar System presents this material in a manner inviting to young astronomers everywhere. Read a picture book about various jobs around the world, including a rickshaw driver from Bangladesh and a waitress from the United States of America. 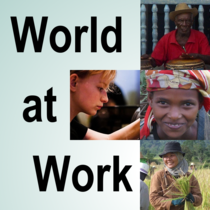 World at Work is suitable for ages 4–7. Recognized good books from previous discontinued efforts. 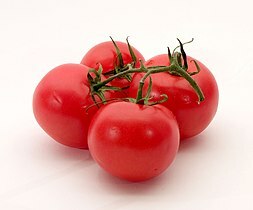 This page was last edited on 7 December 2018, at 00:14.